I'm not able to make small caps work with any font in XeLaTeX. Here is output illustrating the issue for Charis SIL, Garuda, and Times New Roman, respectively. Pasted below are a MWE and version and package information. Copyright 2013 SIL International and Jonathan Kew. 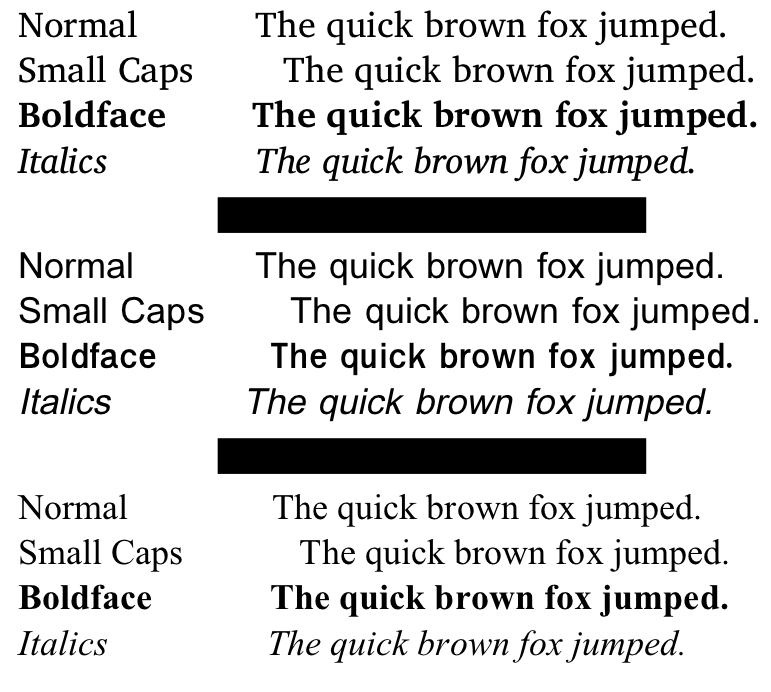 Charis SIL is a hybrid OpenType/Graphite font, in 0.9998 OpenType was chosen but in 0.9999 Graphite is chosen instead (a side effect of using HarfBuzz for both OpenType and Graphite) I’m not yet decided whether to consider this a bug or a feature. Either way, with such hybrid fonts it is always better to be explicit about what font technology to use, adding a “Renderer=ICU” will force OpenType layout (should be renamed “Renderer=OT” now, but it still works nevertheless). The version of Times New Roman included with Windows XP does not have any small caps, the version in included with Windows 8.1, though, do have small caps and works just fine with XeTeX (no idea about other versions of the font). No idea about Garuda, though. (Font)              using `EU1/CharisSIL(0)/m/n' instead on input line 9. (Font)              using `EU1/TimesNewRoman(0)/m/n' instead on input line 23. For Charis Sil I don't think you can get around the lack of a small caps variant. Not the answer you're looking for? Browse other questions tagged fonts xetex fontspec ubuntu small-caps or ask your own question.